It's the hugely controversial and long-running dispute that has inflamed tensions between Greece and FYR Macedonia. But now the feud — which for years has appeared to be an incurable problem — is heading towards a resolution. So what is the wrangle over and why does it incite such strong reactions in both Greece and the Former Yugoslav Republic of Macedonia? FYR Macedonia is controversial for Greeks because it uses the same name as a neighbouring region in northern Greece. 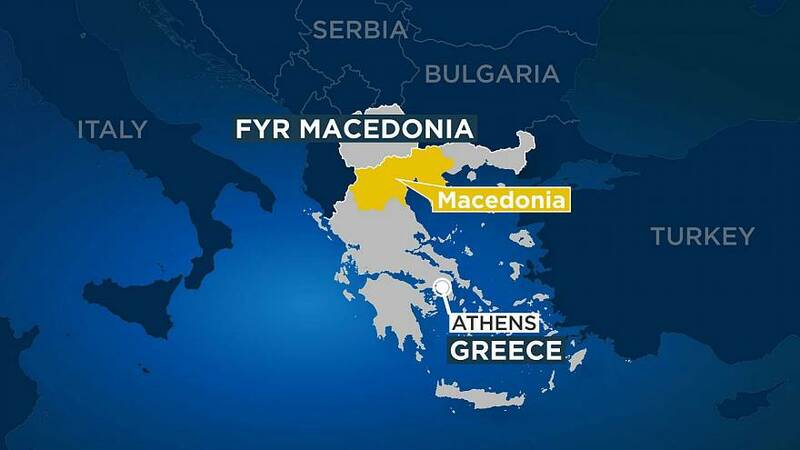 Athens claims its territory of Macedonia — which is coloured yellow in the map above and lies just across the border from FYR Macedonia — has used the name since the times of Alexander the Great. They think FYR Macedonia suggests Skopje has territorial claims on the Greek region of Macedonia. How did the dispute come about? The name dispute was an issue between Belgrade and Athens before the 1990s when the People's Republic of Macedonia made up part of Yugoslavia. But it really came to prominence in 1991 when FYR Macedonia declared its independence from Yugoslavia. The disagreement has seen Athens block multiple attempts by Skopje to join NATO and the European Union. But, after years of stalemate, the election of pro-EU prime minister Zoran Zaev in 2017 has helped push the issue towards resolution. Why are we talking about this issue now? 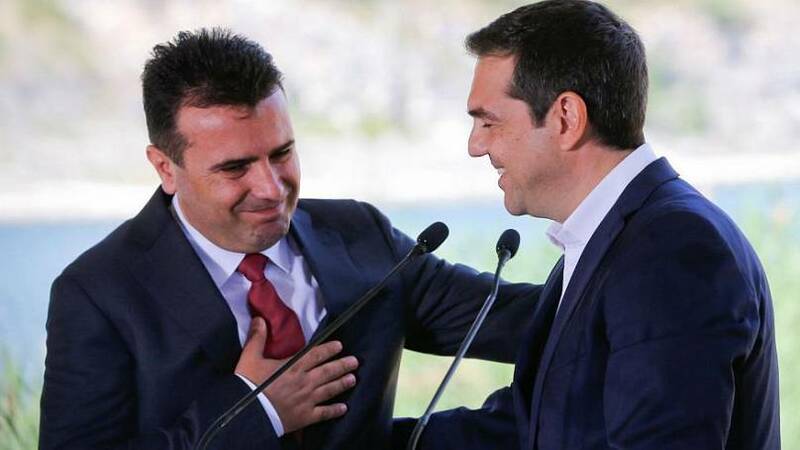 Greece and FYR Macedonia reached an agreement in June 2018 to rename the country the Republic of North Macedonia. But while prime ministers of both countries were all smiles after signing the deal, they still faced opposition domestically, especially from nationalists. A referendum was held last September — and while 94% backed the deal with Greece — it was ruled invalid because not enough of the electorate turned out. The deal was then ratified by the Macedonian parliament on January 11, 2019. Greek MPs are expected to vote on agreement on January 25 in the afternoon. FYR Macedonia Prime Minister Zoran Zaev, left, with his Greek counterpart, Alexis Tsipras, during a ceremony on June 17 at which the historic deal aimed at settling the name dispute was signed. Will the Greek MPs approve the name change? Prime Minister Alexis Tsipras has had a rocky time trying to get the name change approved by the Greek parliament. It sparked the departure of his right-wing coalition partners Independent Greeks who were against the deal. This prompted a vote of confidence in Tsipras in mid-January, which he survived and thereby averted a snap election. Dr Angelos Chryssogelos, an associate fellow at Chatham House’s Europe programme, told Euronews he thought Tsipras would get the required support of 151 MPs in Greece's 300-member parliament to get the deal approved. But an opinion poll conducted for Proto Thema newspaper on January 20 showed 66% of respondents were against the agreement. The Sunday before the vote in the Greek parliament saw tens of thousands of people rally against the settlement in Athens. People give Euronews their views on the name change.